(Bloomberg) -- By now, New York City’s western suburbs were supposed to be reveling in soaring home prices, cleaner air and swift access to thousands of jobs, all made possible by an additional train tunnel linking New Jersey to Manhattan. Construction was killed, though, by former New Jersey Governor Chris Christie, a Republican with national aspirations. President Donald Trump has stymied a second proposal. 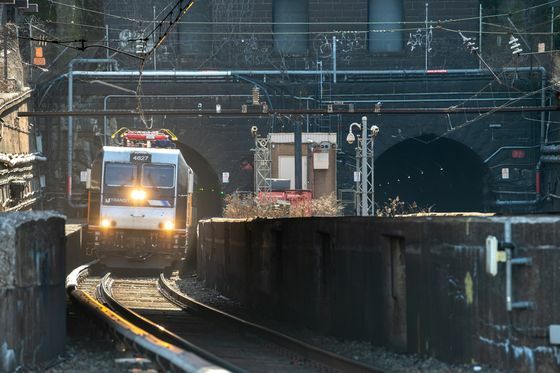 Meanwhile, concrete is crumbling inside the sole existing tube, opened in 1910, and four years of even a partial failure would cost the national economy $16 billion, according to regional planners. New York Governor Andrew Cuomo calls a new tunnel America’s most-needed infrastructure project. But America’s most-needed infrastructure project lacks America’s most-needed Plan B.
Amtrak, along with three New York City-area mass-transit agencies and two members of the U.S. House of Representatives, say there is no known alternative plan should the Hudson River tunnel close, cutting off the national railroad’s busiest route and blocking thousands from their workplaces. A bill introduced in Congress this month would require Trump’s Transportation Department to produce a “doomsday” workaround for what the sponsors say is the increasing likelihood of one or both tunnel tracks being shut down before a replacement is ready. Asked whether there is a contingency plan, the U.S. Transportation Department would only say it doesn’t comment on pending legislation. Amtrak, which owns the 2.5-mile (4-kilometer) tunnel, says it’s safe, though increasingly unreliable. Joseph Boardman, the railroad’s deceased former chief executive, in 2014 said the link would have to be shut within 20 years. Democratic Representative Josh Gottheimer of New Jersey, co-sponsor of the doomsday bill, said Amtrak told him that one of the tunnels would likely have to be shut down within five years. Gateway, a proposed $30 billion overhaul of the railroad’s New York City-area route, has a seven-year construction estimate for just the new tunnel, and that’s after designs, approvals and funding are in place. Once that’s complete, the existing two-track tunnel would be closed one tube at a time, for as long as two years each. For the time being, night crews repair concrete and electrical lines as water seeps through the tunnel’s casing. Troubles strike without warning. One night in September, the tunnel’s power failed and two trains struck metal objects, one piercing a car’s roof. Amtrak never determined what went wrong. Then there’s the disaster scenario: A flood, like the one from Hurricane Sandy in 2012 that bathed the tunnel in corrosives, closes the link instantly -- potentially permanently -- stopping about 200,000 daily passenger trips on Amtrak and NJ Transit commuter trains. That path is crucial to the Boston-to-Washington route traveled by more than a third of Amtrak passengers. “It’s essential to the entire corridor, and as such, it is essential to the whole region and therefore our entire system and nation,’’ Stephen Gardner, an Amtrak senior executive vice president, said during a March 12 congressional hearing. Without the tunnel, options are limited. The Port Authority of New York and New Jersey’s PATH trains that connect Manhattan to Newark, Jersey City and Hoboken are packed. The Lincoln Tunnel has all the rush-hour buses it can handle and then some, and midtown Manhattan’s coach terminal has been past capacity since 1966. Cars already face gridlock, tolls and possible congestion surcharges, while ferries have no room for mass bus traffic at their terminals. New York City-area mass-transit operators regularly cooperate during disruptions. But even working together, they couldn’t handle a years-long Northeast Corridor spillover, according to NJ Transit and the Port Authority, Amtrak’s partners on the tunnel project. The capacity required after “a cataclysmic event simply doesn’t exist,” PATH spokesman Scott Ladd said in an email. That leaves New York Waterway, the Weehawken, New Jersey-based ferry operator that accommodated 288,000 train passengers displaced by Penn Station track repairs for eight weeks in 2017. 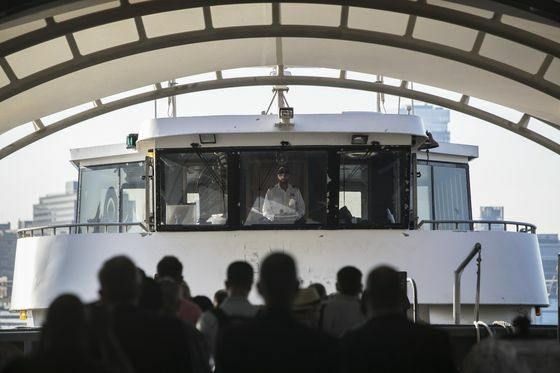 Arthur Imperatore Sr., the 93-year-old president, says his ferries have plenty of room, but commuter buses would overwhelm the terminals and surrounding streets. “Maybe there’s a game plan, but if so, they haven’t spoken to us,” said Imperatore, referring to the U.S. Transportation Department. Trump administration officials have said Gateway isn’t eligible for federal funding because New York and New Jersey haven’t provided workable financing, although the states committed to half the cost. The administration says the plan too optimistically counts on U.S. government funding and loans, state subsidies, fare revenue and operating cost estimates -- and doesn’t address unexpected overruns or payment shortfalls. “There is not yet any discernible path forward,’’ Deputy Transportation Secretary Jeffrey Rosen said in a March 11 call with reporters. Days later, the Transportation Department reaffirmed “medium-low” priority for the tunnel. Senator Chris Murphy, a Connecticut Democrat, questioned Transportation Secretary Elaine Chao during a Senate subcommittee hearing Wednesday about why the tunnel and Portal Bridge projects were among only four of 53 in the Capital Investment Grants Program to get less than a “medium” rating. Chao said the ratings were made by career professionals based on specific criteria such as local financial commitment. “The political people don’t have any say,” she said. 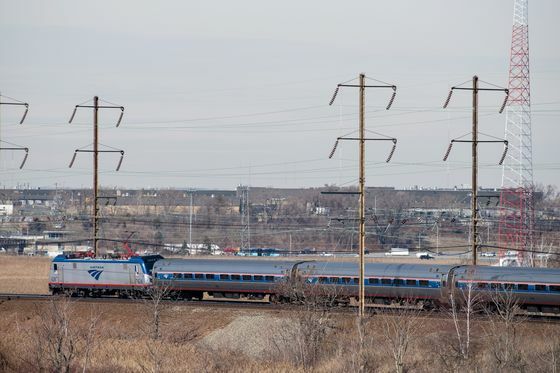 But the rest of the country isn’t Amtrak’s Northeast Corridor, serving a regional economic powerhouse that generates 20 percent of U.S. gross domestic product. Officials began planning the first replacement proposal, Access to the Region’s Core, in 1995. It had full funding of $8.7 billion and an estimated completion date of 2018. Christie canceled it in 2010, citing concerns about potential cost overruns and a design that terminated blocks from Pennsylvania Station. As a result, the region missed out on $1.5 billion in federal, state and local taxes that would have been generated during construction; 44,000 new permanent jobs; a 4.2 percent increase in residential property value; 22,000 fewer cars on the road; and 66,000 tons of greenhouse gases eliminated, according to the U.S. Government Accountability Office, Congress’s watchdog agency. For nighttime maintenance, Amtrak closes one track, which cuts capacity 75 percent. If the railroad did that for four years -- and the Gateway tunnel hasn’t opened yet -- the national economy would lose $16 billion, according to a February report from the Regional Plan Association, which studies sustainability and quality of life in metropolitan New York City. There would be a 6 percent drop in home values for New Jerseyans living near train stations, the report said. About $4.5 billion in lost tax revenue in New York and New Jersey. At least 10,000 more drivers on some of the nation’s most congested highways, contributing to a 2 million ton increase in carbon dioxide alone. Tom Wright, the group’s president, said Christie came to office in 2010 facing a budget calamity. The state’s Transportation Trust Fund, which pays for highway and rail maintenance and improvements, was hitting bottom. The logical answer was to raise the gasoline tax, which feeds the fund, but Christie was a tax-cutting Republican with his eyes on what would be a doomed presidential run. His canceling Access to the Region’s Core allowed him to shift billions of dollars to roads. That money is long spent. Christie was traveling and couldn’t be reached for comment, according to Bill Palatucci, who served as general counsel to his presidential campaign. For a governor who scored a record 11 downgrades by the three major credit-rating companies and whose administration was at the center of the George Washington Bridge scandal, the killed tunnel is “the most lasting part of his legacy,” Wright said.